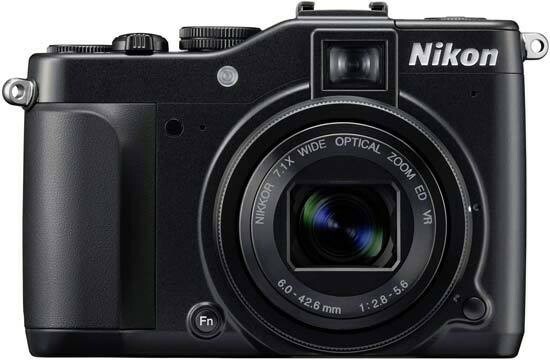 The Nikon Coolpix P7000 is something of a flawed gem. While we love the handling, with its wealth of clever external controls, and the excellent image quality, the painfully slow RAW processing speeds are a real let-down for a camera that purports to offer a DSLR-experience. Put the P7000 side-by-side with the new Canon PowerShot G12 and you'd be hard-pressed to tell the difference, signalling Nikon's intent to finally get serious with its Coolpix range and take on the long-established leader in the prosumer compact camera market. Nikon's design team have taken advantage of the P7000's larger footprint to implement a winning combination of dials and wheels that make using this camera a breeze for the more experienced user that it's clearly targeted at. Add in the numerous ways of customising the camera to your own way of working, and it's clear that the P7000 is a real photographer's dream, at least from a handling point of view. This truism continues with the P7000's excellent image quality, thanks largely to the adoption of a sensible 10 megapixel sensor that's physically larger than the one inside most compact cameras. There's no unwanted noise at ISO 100-400, with a little appearing at 800 and 1600 still being perfectly usable, which is a great performance from a 1/1.7-inch sensor and certainly on a par with the P7000's main rivals. The P7000's feature list also ticks all the right boxes, with an excellent LCD screen, a 28-200mm zoom that's more versatile than the G12's, 720p movies with stereo sound plus a port for an external mic, and even a true optical viewfinder for the purist. Nikon have also added some clever touches such as the neutral density filter, zoom step feature, virtual horizon and tonal range histogram which all add to the P7000's eminent suitability as a pocket camera for pro shooters. Unfortunately the same can't be said about the RAW performance, arguably an essential part of most serious photographer's workflow. Firstly, Nikon have changed the RAW format again, with the new NRW+ currently only supported by Nikon's own software. Secondly, the burst shooting speed is a rather lackluster 1fps for a maximum of 5 frames. Thirdly and most crucially, the P7000 takes 5 seconds to process a single RAW file and 15 seconds to process a burst of 5 frames, during which the camera locks-up entirely. This is simply too slow on a camera that is trying to be a DSLR in compact form, especially when the P7000's main rivals don't suffer from the same problem.